This breakout board allows for standard surface mount, SMD and SMT, TQFP 44 pin packages with 25mil (0.8mm) spacing between pads. 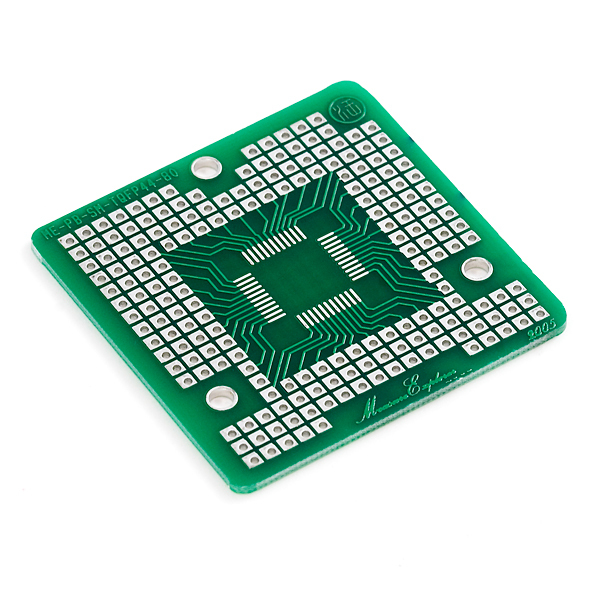 The PCB uses a double copper layer plated through-hole surface mount design. 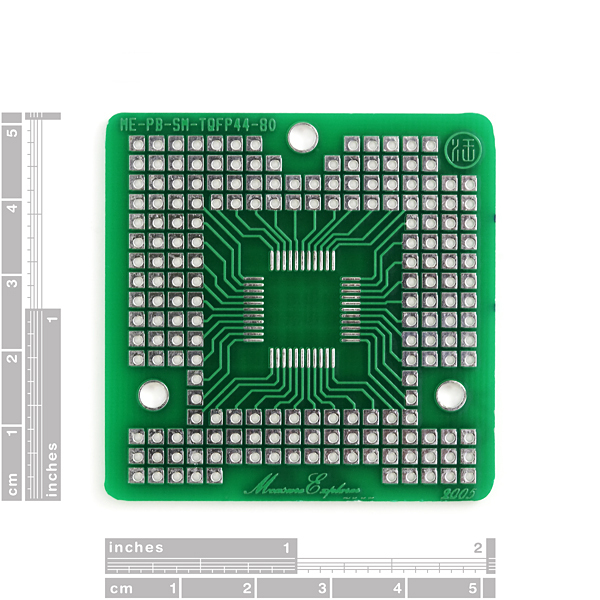 Square copper pads are located on the bottom side of the board for other surface mount components. Plated through-holes are off the center of square copper pads for creating soldering space. These work great with our protoboards. Check out our Surface Mount Soldering Tutorials! 44 pin, 31mil (0.8mm) spacing. Can I get a 32 pin 8mm version?! I'd also like a 32 pin .8mm spacing version of this. Would the DS3234 work on the SMD side of this board? 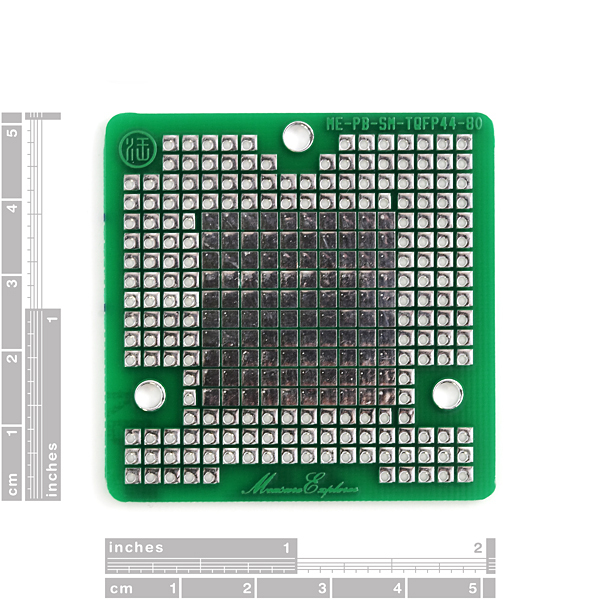 This is just the right size for Parallax's Propeller Chip (44-Pin QFP). I been able to attach both DIP EEPROM (using the extra prototyping holes) and SOIC EEPROM (using the square pads on the back side of the board). To match the pitch of SOIC chips, I cut the square pads on the back in half. I use a DMM to make sure I'm electrically isolated the half pads. I've used these a lot and really like them.